Once upon a time bench players only played when someone got hurt. They were the “we don’t want to actually play these guys, but we need backups for emergencies” players. Now teams build their benches strategically and look to maximize roster spots. Roster spots are a finite resource. The more production you can squeeze out of them, the better. 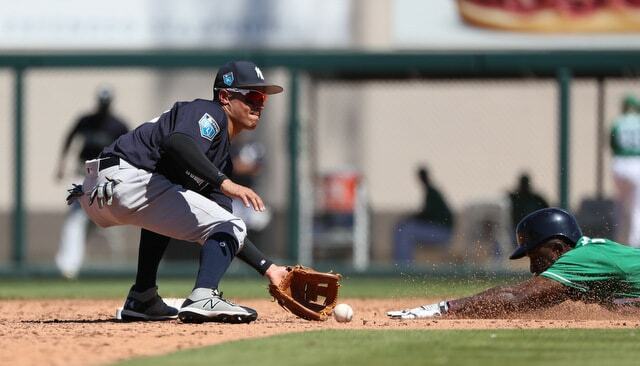 The Yankees’ bench was a bit unsettled coming into the spring, though things have been sorted out these last few weeks, and now it is pretty obvious who the reserve players will be come Opening Day. Tyler Wade (season preview) has made the team and there’s a chance he’ll actually start at second rather than be a bench player. Jacoby Ellsbury (season preview) will also be on the bench once he returns from his oblique injury. Let’s preview the rest of the bench. 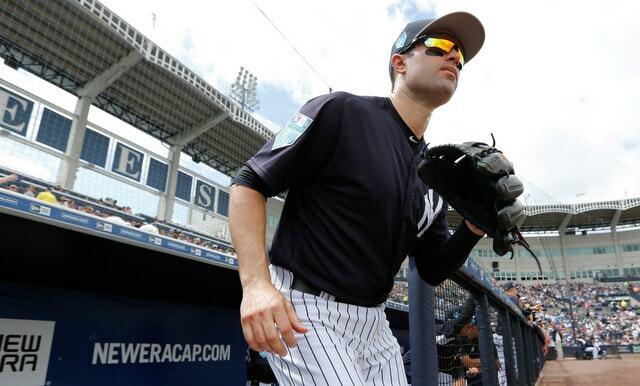 On March 12th the Yankees took advantage of the slow free agent market and signed Neil Walker to a one-year contract worth only $4M guaranteed. He can earn another $500,000 in plate appearance based incentives, which isn’t much at all. Walker is not a $4M (or $4.5M) player. He’s coming off a .265/.362/.439 (114 wRC+) batting line with the Mets and Brewers last year and he’s been no worse than a +2 WAR players in each of the last seven seasons. Aaron Boone has not committed to a full-time second baseman, instead indicating it could be matchup based. Wade is a left-handed hitter and Walker is a switch-hitter who has been quite a bit better against righties than lefties in recent years, so a straight platoon wouldn’t make much sense. I reckon this will be one of those “this will sort itself out” situations. Soon enough either Wade or Walker will emerge as the full-time second baseman with their play. Walker has played some first and third bases this spring — he did that last year as well — and signs point to him doing the same during the regular season. “I’d love him to see him be that guy if we want to give (Greg) Bird a day. Especially with Wade’s ability to move around, it will be interesting to see the moving parts. It should give us versatility and keep us fresh,” said Boone to Dan Martin. Walker has said he’s willing to play wherever, so that’s good. Buy-in from the player is important. Although there is no defined path to playing time for Walker, it seems clear to me he’s going to play quite a bit. Walker has had some injury trouble in recent years, most notably with his back, and the Yankees may be looking at him as more of a 120-game player than a 150-game player. Even without that defined role, there should be a way to get him 400-something at-bats this year. Maybe Brandon Drury sits against a tough righty and Walker mans the hot corner? Ultimately, the Yankees signed Walker because the deal was simply too good to pass up. Wade has had a great spring and we’re all excited for Gleyber Torres, but the fact of the matter is neither is proven at the MLB level yet, and the Yankees want to win the World Series this year. Walker is second base insurance in case the kids flame out and a high-end part-time player if the kids do pan out. I think he’s going to play and play a lot, and based on his track record, Walker is going to be a solid contributor for a bargain price this year. Between Wade’s big spring and the Walker signing, there’s been a “Ronald Torreyes might not make the team” narrative floating around our comments and on social media, and I don’t get it at all. I get that carrying Wade makes Torreyes a bit redundant, but the infield is far from settled, and his main competition for a roster spot is … Tyler Austin? Billy McKinney? Not the stiffest competition, you know? It seems to me the Yankees like Torreyes and value him for exactly what he is: A good utility infielder. Not a potential starter. He’s a good utility guy. Torreyes is a high-energy player who makes lots of contact, can play all over the infield and handle himself defensively, doesn’t need regular at-bats to produce, and won’t kill you if an injury presses him into everyday duty. And his teammates love him. That’s a nice little bonus. Almost all utility infielders stink. Torreyes is better than most of them. Last year injuries to Didi Gregorius and Starlin Castro — as well as seemingly being a Joe Girardi favorite — meant Torreyes appeared in 108 games and received 336 plate appearances. I don’t think he’ll play that much again. I hope he doesn’t play that much again. Whenever a starting infielder sits, either Wade or Walker figures to be first in line to start, but there are still going to be opportunities for Torreyes to play. He’s the bench guy who might go two weeks between starts and I am totally cool with Torreyes being that guy and not, say, Wade or Torres or McKinney. I do agree the writing is on the wall for Torreyes. He may not be long for the organization with Wade and Torres and Miguel Andujar (and Thairo Estrada) on the way. But their time is not now. Wade’s had a great spring but who cares. We’ve seen plenty of guys have great springs and do nothing in the regular season. Torres (coming back from injury) and Andujar (defense) are in Triple-A for specific reasons. Torreyes might be a better MLB player than all of them at this very moment in time. And until the kids prove to the be better options, Torreyes will stay on the roster. The Yankees opted not to find a new backup catcher this offseason, meaning Austin Romine will once again back up Gary Sanchez this season. On paper, it’s hard to find something Romine does well. He hit .218/.272/.293 (49 wRC+) last season and he threw out only three of 29 basestealers. His pitch-framing numbers are below-average. He’s better at blocking balls in the dirt than Sanchez, but that doesn’t mean much. And yet, Romine remains, essentially unchallenged for the job as well. Kyle Higashioka and Erik Kratz are the backup catcher alternatives and neither seemed to be given much of a chance at the job this spring. The Yankees aren’t stupid. They have their reasons for sticking with Romine, and given the eye test and the numbers you and I can look up, those reasons are based on things that happen behind the scenes and/or are immeasurable. Four things come to mind. One, the Yankees have much better internal catcher defense stats than we do, and they say Romine is a quality defender. Two, the pitching staff likes throwing to him. CC Sabathia has praised Romine for his game-calling over the years and Sabathia presumably carries a lot of clout in the organization. Three, his teammates like him and he’s good in the clubhouse. And four, he’s tough as nails. Romine seems to take a beating every time he catches, and of course he stood up to Miguel Cabrera during the brawl in Detroit last year. I know his teammates appreciated that. By and large, backup catchers are terrible. The league average catcher hit .245/.315/.406 (89 wRC+) last year, which means backups were way under that. Romine’s offensive numbers are terrible and he can’t throw at all. But he’s still on the roster. Whatever it is he brings to the table behind the scenes — the way he works with the pitching staff, his toughness, his clubhouse chops, whatever — the Yankees have determined it more than makes up for the bat and throwing. Like it or not, Romine remains the backup backstop.